I’m thrilled to be back for another year on QUILTsocial to share with you some of my favorite tips to make fast and easy quilts that only look complicated. 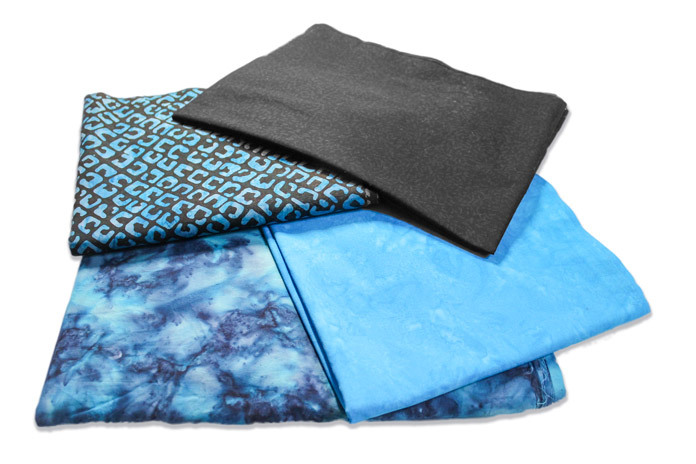 For this week, I was given some fabulous Banyan Batiks from the Color Blocking collection. 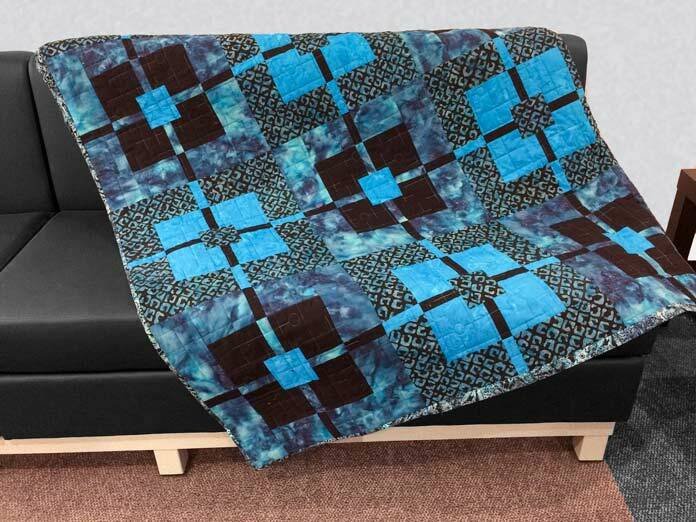 If you want to venture into making bigger quilts but fear that you might not be able to accomplish them, I suggest you try out Michael‘s beautiful rail fence quilt tutorial. 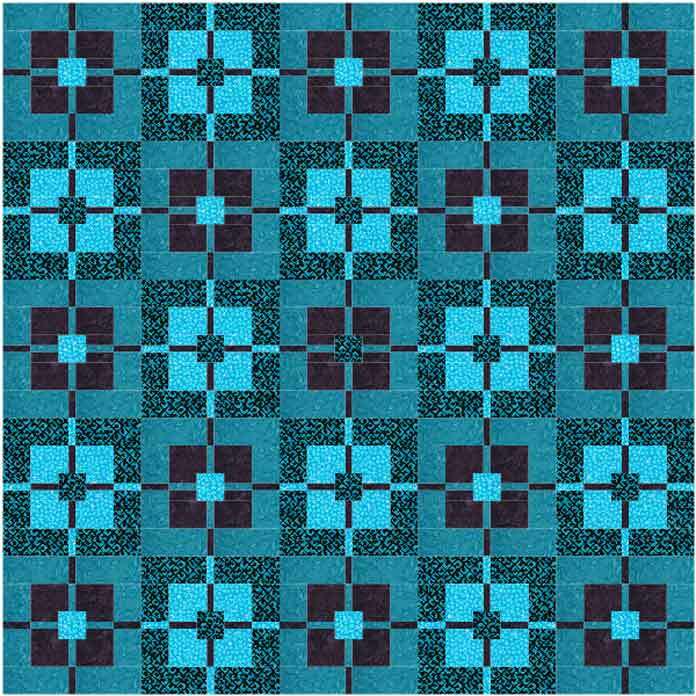 I had planned on making this design but since he did such a great job, I went into the next project to build your quilting skills with my Deep Waters pattern. For this project, I chose my favorite colors: Blue and Black. My best tip to make fast and easy quilts that only look complicated is to make really BIG blocks. So you don’t have too many to make to get to a big size quilt. For this project, I decided on making 15” finished block. The quilt will be 75” square, set by 5×5. It’s a great size for snuggling up on a sofa or placing as a bed runner above a duvet. The great part of this project is that you can make 5 more blocks to set as an extra row and you will have the perfect queen size quilt: 75” x 90”. You can add borders also to accommodate your mattress’s size. Ziploc bags and non-permanent markers are a must in my studio! Another tip I like to share is to keep Ziploc bags close by with a non-permanent marker. 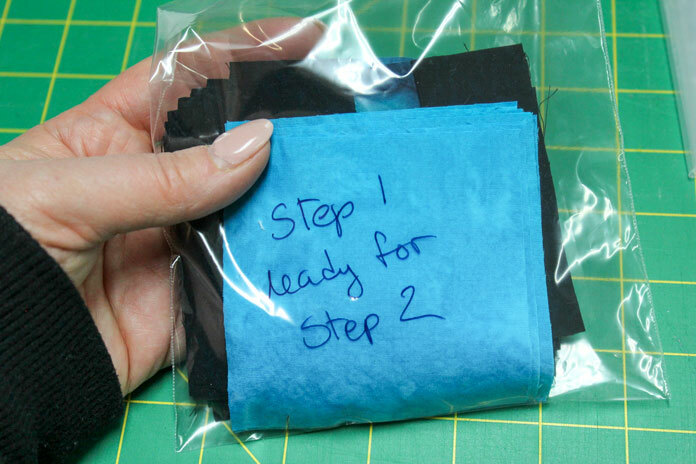 I love being able to place my fabrics in them and mark what step they’re for or what I need to do with them. Because I use a non-permanent marker, I can erase and re-use which is environmentally friendly too. 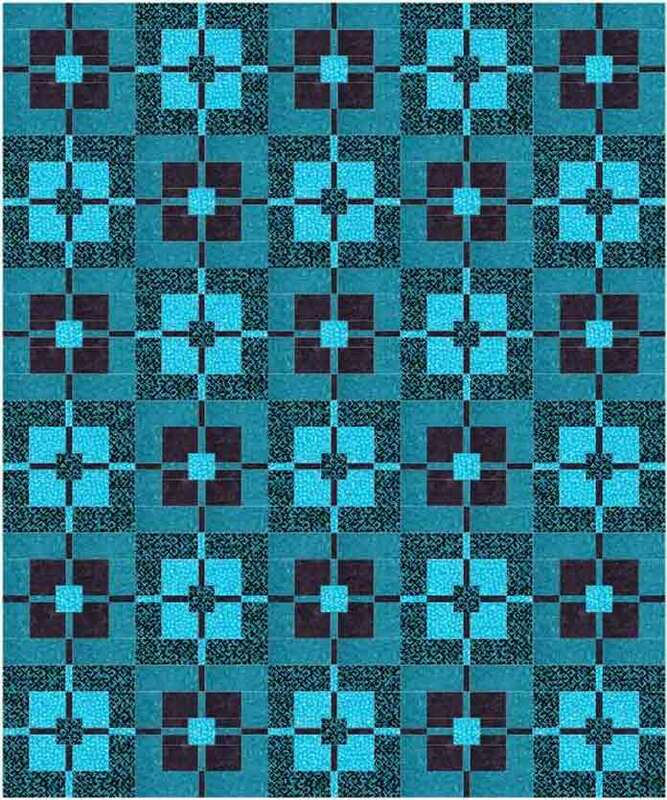 Deep Waters quilt pattern made with Banyan Batiks Color Blocking collection. Before you start cutting, wait until you’ve read tomorrow’s post, as I’ll share more tips to help you make fast and easy quilts that only look complicated. 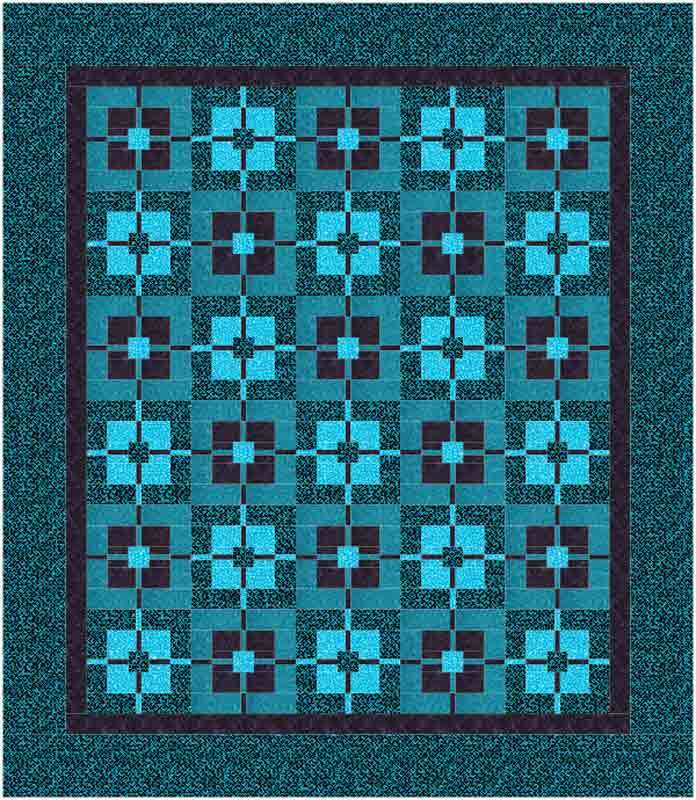 The Deep Waters quilt is really easy to make but it looks complicated. Using Banyan Batiks Color Blocking fabrics, makes it exquisite!